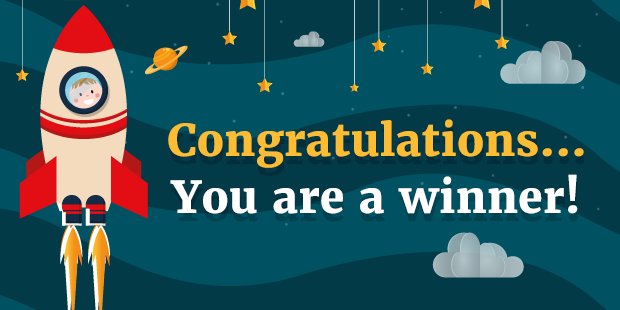 Firstly we would like to thank every single entry received into our competition for World Book Day 2018. We gave away £250 to 200 schools this year to help give children the head-start into reading that so many schools so desperately needed. Are you in a Reading Slump? It’s something that happens to many bookworms, you have so much to read but not enough focus. You really want to sit and curl up with your book but you end up reading the same sentence over and over again. It’s just frustrating, well not to worry we have a few tips to help you get out of that reading slump. Read at your own pace, and don’t rush yourself. It is so easy to get thinking about the next book you want to read whilst reading your current novel, but chill. You have all the time in the world and it’s not a race. Don’t stare at your bookshelf and feel guilty that you are not currently reading, mix it up a bit and do something different. Bake a cake, take a nap or just binge watch the next season of American Horror Story on Netflix. Maybe your brain just wants to relax for a day or two. If you’re reading a thriller, for example, there are only so many twists your brain can take. Our favourite kind of shopping! Have a look at our store here for our recommended reads or go back to your list of books that you need to buy and treat yourself. It’s exciting to wait for your happy book mail. It might also be the boost you needed to get you back into your book for an hour or so. 4. Put the heavy stuff down. It’s easy to get caught up in the same heavy genre, crime fiction, thriller fiction and even science fiction can get a bit too heavy for your brain to process. It is okay to pick up a nice easy book that just reads itself. A feel-good read, a lovely little romance. Allow yourself to relax. A good author to always fall back on is Jacqueline Wilson. A favourite for many children around the world, but adults can enjoy them too. A guaranteed way to get you excited about your books again, whilst re-organising your bookshelf, you may find a book you bought months ago and the excitement will come flooding back. Also, you may find your long-lost favourites and you might want to revisit your favourite characters again. 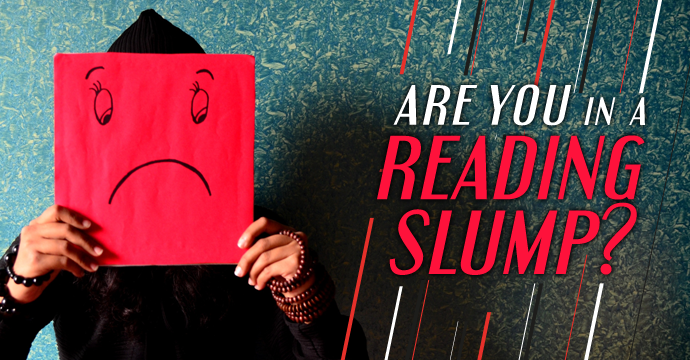 Reading slumps do get us bookworms down, but we hope these tips manage to get you reading again. Do you have any tips? Let us know in the comments below. 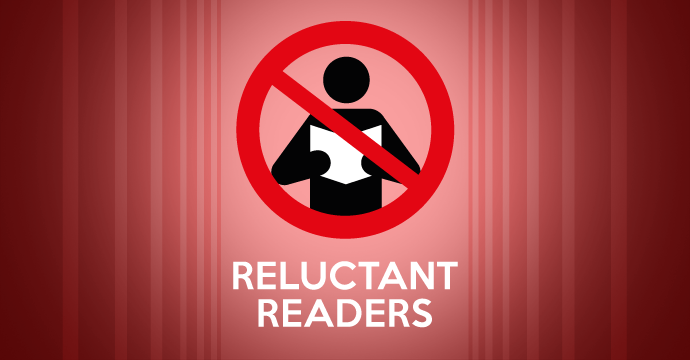 It’s hard to persuade children to get into reading. With the current gadgets and social platforms, the idea of reading a physical book when there are so many games and apps out there seems like an old-fashioned concept. The main reasons for children not reading are – they do not want to read a book because they prefer doing other things, or they cannot read a book and are held back by their literacy skills. These both seem to link in a vicious circle. All is not lost, there are methods of introducing children to the fantastic world of reading. Let them stay up later, not too late, but 30 minutes later as long as they are reading. While it may not seem much but its the perfect way to get them hooked on a novel and they will strive to get to the next chapter before bedtime. 2. Watch the movie, read the book. So, the latest children’s literary adaptation has hit cinemas and they want to see it. It’s the perfect opportunity to tie reading into the experience. Encourage them to read the book after seeing the film, then compare the two. Did they prefer the film or the book? Also, the main differences between the two. A fantastic book series is one of the best ways to get those reluctant readers hooked on a great piece of fiction. A well written main character that grows alongside your child as they read can encourage them to read not only the first book but its sequels. Before you know it, they have read five different books! The opinion surrounding comic books and graphic novels not being a recognized source of literature is slowly dispersing. Comic books are one of the best ways of getting children to read. If your child is a fan of the superhero films or loves to watch the animated versions on a Saturday morning a comic book is an easy way to get them interacting with something they are interested in, whilst increasing their skills. Who doesn’t love a silly book? So get them hooked on something that will make them cackle. With the Diary of a Wimpy Kid as well as the David Walliams novels. Children’s fiction is full of some great books that will have you howling with laughter too. Have you used any of the above tips to get your child into reading? If you have tried a different approach, tell us in the comments. We love hearing about children’s introduction to the wonderful world of reading. Regular readers of this blog will know that I am a massive fan of The BFG. I read a lot as a child and this became a firm favourite from the moment I read the first chapter. I love all of Roald Dahl’s children’s books, I can’t quite bring myself to read the ‘adult’ stories he’s written. The BFG was written back in 1982 and has been adapted to the big screen a couple of times. It follows the story of young orphan Sophie and her unlikely friendship with the BFG (Big Friendly Giant). It follows their adventures to stop the mean giants from hunting for human beans to eat. There is a clear theme throughout this story and it is one of bravery and defiance. A young girl living in an orphanage, may not be your stereotypical heroine but she stands up and fights the mean, gruesome giants alongside the BFG. Outsmarting them and eventually coming up with a cunning plan to defeat them once and for all. And then there’s the BFG himself, a kind, friendly, optimistic giant who is ashamed of his peers and wants the world to know that he is not one of them. He overcomes his fears and stands up to the bullying giants and fights back. The unlikely friendship between Sophie and the BFG is one that has always held a firm place in my heart. Both are considered outsiders and don’t have any friends until they find one another. Sophie shows the BFG a kindness that he’s not been used to in Giant Country, having been teased for being good all his life. The BFG, rebels against the other giant’s love for eating human beans and instead travels to Dream Country to bottle dreams. He then uses his trumpet and blows dreams through the windows of sleeping children. The BFG puts himself in danger travelling to catch the dreams and the consideration and kindness that he shows to children shows his true character. When the BFG gives up hope of ever being rid of the gruesome giants and thwarting their evil plot to gobble up human beans, Sophie hatches a plan. She’s an intelligent young girl who not only manages to get into Buckingham Palace – she actually convinces the Queen to help them. This is a general theme that weaves its way through most of Roald Dahl’s books, whether it’s the terrifying Trunchbull in Matilda, the disgusting, ugly Twits that torment each other daily or James’s cruel aunts who force him to do hard labour… Good always overcomes in the end. The evil giants that torment and bully the BFG and roam the country looking for human beans to guzzle are defeated and imprisoned so Sophie and the BFG are free to live a happy life, the BFG in a posh castle, and Sophie next door in a comfortable cottage. With so many wonderful life lessons and morals to this story, it’s not surprising that it’s been adapted numerous times. The story is full of warmth, courage and heart. Two outsiders come together to become friends and overcome evil – I mean, what’s not to love about that? Roald Dahl once boasted with a lack of modesty, that his name was known to virtually every child in the western world, and 27 years on from his death, it is safe to say that every child you will probably encounter has read or is reading one of his great children’s stories. He should have added that he was already quite well known to his adult audience as well. Now, I first encountered Roald Dahl when I was around 7 or 8, his books came with teabags, and I would settle down and read “The Twits”, “Fantastic Mr Fox” and “The Witches” all day long. Now I loved books as a child, I would read endless novels from Enid Blyton to J.K Rowling and before Harry Potter, I was captivated by Roald Dahls narration, the words and his characters, the fantasies just took on personas of their own. Still as I grew up, I worked my way through Roald Dahl’s key children’s fiction pieces and only recently I have learned that before children’s fiction he wrote stories for adults, these stories are dark and twisted and they are overlooked, as his children’s novels became bestsellers, however they made him one of the most accomplished writers of adult’s short stories. The books themselves are a fascination to most. His adult material is certainly not for prudes. The character Uncle Oswald “the greatest fornicator of all time” has a novel all to himself. There are running themes of vice and eroticism as well as the darker, cruel exploits and moral correctness that is familiar from within his children’s novels. It’s certainly a far cry from the chocolate factory! These stories were designed for an adolescent male audience in an age where casual misogyny went unnoticed compared to now. So many would deem them as controversial for this day and age. Have any of our fans read a short story by Roald Dahl designed for adults? What did you think? Tell us in the comments below. We may give one a read, we have after all read Fifty Shades… surely nothing can shock us after that? They say “never judge a book by its cover”, and whilst this saying is true there are those among us that will always look at the illustrations of a children’s novel before reading the blurb. 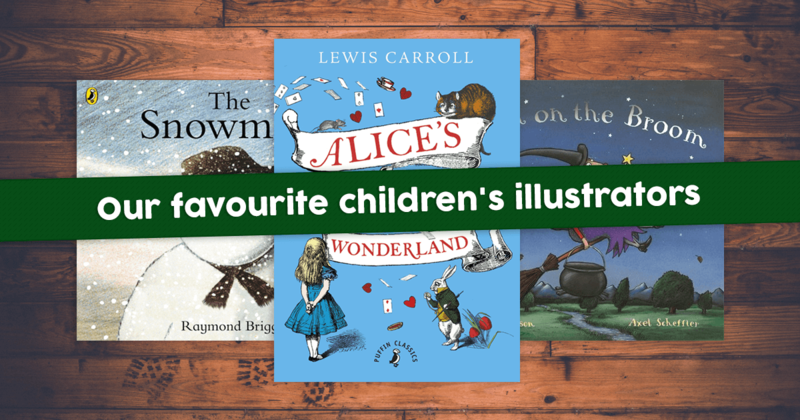 We have handpicked a selection of our favourite books which have some truly magnificent illustrations, which in our opinion make the books timeless. The illustrations of E.H. Shepard. Many children grew up with the adventures of Winnie the Pooh and The Wind and the Willows, and in our opinion they are two books that really show off England in the best light, with our vast countryside’s and very intriguing country wildlife. They really are the epitome of English country living. E.H. Shepard illustrated both these books and both sets of drawings capture the imaginations of many generations. Yes, in later years they both got the Disney treatment, but the original illustrations are the pictures that many adults these days fall in love with. The original illustrator of Alice in Wonderland, the little black and white cartoon girl who travels through a quite frankly, insane world where “nothing is as it seems and everything is as it was”. The illustrations are the polar opposite to the Disney-fied version that many generations know Alice to be, and whilst the animated film is a fun alternative the dark illustrations in the book just make Wonderland seem a little bit more mysterious. 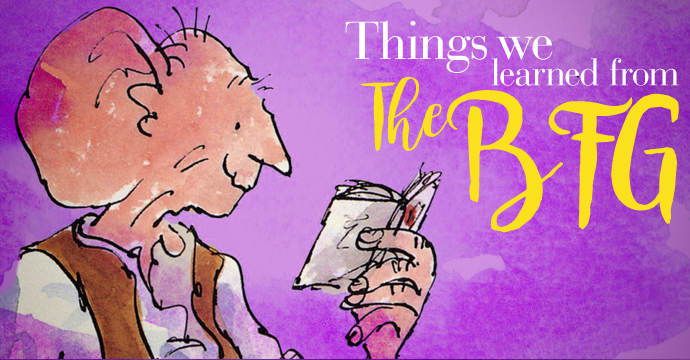 The partnership between Quentin Blake and Roald Dahl is one that many generations will appreciate and love. 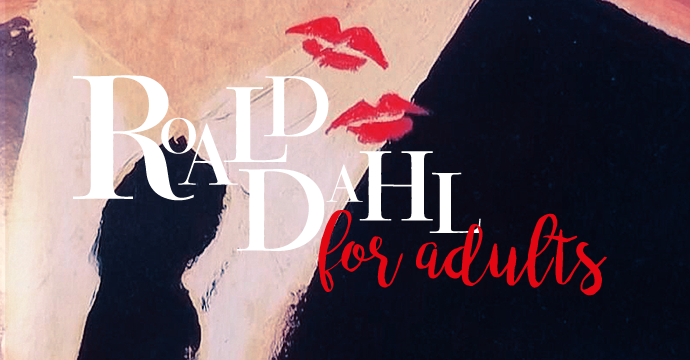 With Roald Dahls quirky stories in a tone of voice and language that we know and love today made him an unstoppable force in children’s literature. When you see a Quentin Blake illustration you do automatically think of Roald Dahl’s stories or more recently David Walliams. David Walliams has taken the children’s fiction genre by storm, with his humour reverberating through his pages to the illustrations by Quentin Blake, it is no wonder that his books are frequently in our bestsellers. Alex Scheffler the illustrator for Julia Donaldson’s children’s books. We know the stories, we have read them over and over to our children. The neat little rhymes and the fantastic drawings have made Julia Donaldson and Alex Scheffler the most well-loved children’s double act of this generation. Each character is drawn with such precision that their personality just oozes from the page. This made the TV adaptations of The Gruffalo, and Room on a Broom so seamless. We hope to see many more from this duo. How can we go through some of our most loved illustrators in children’s fiction and forget this brilliant artist? Raymond Briggs, the man behind The Snowman, Ethel and Ernest and many more has created such beautiful pieces of art in his wordless picture books. Even though the film was adapted with a more festive feel, the animation in the movie was completely based off of Raymond Briggs’ original drawings. This story and this author will always be one of our favourites here at World of Books. 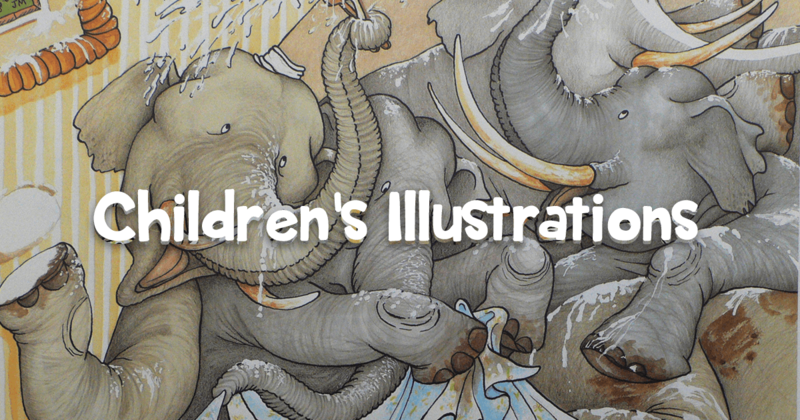 With so many brilliant illustrations in fantastic children’s books, and we would of course love to list them all however, here are a few honourable mentions – Dr Seuss, Meg and Mog, Old Bear Stories, The Very Hungry Caterpillar, Diary of a Wimpy Kid and We’re Going on a Bear Hunt. Make sure you stop by our children’s fiction here. Have we left out your favourite illustrator? Let us know in the comments below.